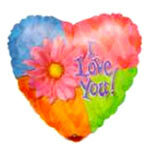 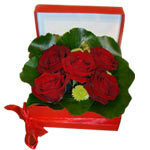 Product description: Turn up the heat with this bouquet of 5 red roses. 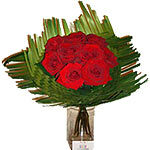 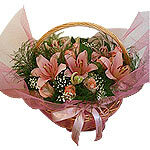 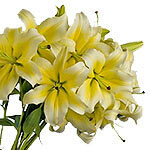 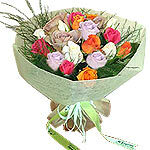 These tender roses are elegantly arranged with greens in basket. 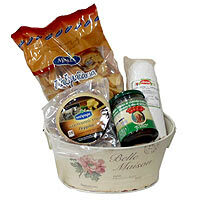 Gourmet gift baskets styles with sausages created by Anthemion carefully you care for our customers who want something special to emotions and yet to impress.